Next autumn/winter, it is all about protecting yourself against the elements. And on the runway, fashion proves that it is ready to battle against any extreme climate, as Fashion One gives What's Haute for Autumn/Winter 2015 wardrobe. After New York, London and Milan, the shows came to an end in Paris with a vibrant display of ski and sportswear in fur coats, down jackets and festive knitwear. Take a look at the trending luxurious and sophisticated winterwear offerings seen on the runway of Moncler, Damir Doma, Marc Jacobs, Diesel Black Gold, Peter Pilotto, Isabel Marant, Kenzo, Tommy Hilfiger, Christine Phung, Iceberg, Emilio Pucci, Marc by Marc Jacobs, Fendi and Topshop Unique, coming on top to brighten up your Autumn and Winter wardrobe. "What's Haute Ski and the City Trends AW2014" "Ski and the City Trends AW2014" "What's Haute" "Moncler" "Damir Doma" "Marc Jacobs" "Diesel Black Gold" "Peter Pilotto" "Isabel Marant" "Kenzo" "Tommy Hilfiger Christine Phung" "Iceberg" "Emilio Pucci" "Marc by Marc Jacobs" "Fendi" "Topshop Unique" "Karl Lagerfeld" "Alexis Martial" "FashionOne" "Fashion One" "Fashion Entertainment" "Fashion Model" "Runway" "Beauty" "Music" "Fashion One TV" "Designers" "Fashion Designers" "Style" "Collection" "Fashion Show"
The name enfolds the project, one promptly referring to an international vision, beyond borders. Powerful it is, as would prove the product, ever amazing and versatile. 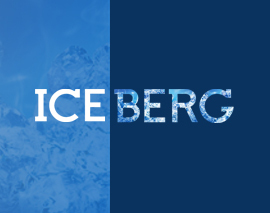 A name – Iceberg – pronounced the same throughout the world, playfully imbued to all appearances with the anticonformist spirit underlying the sociocultural context in which it originated, as if some unmistakable DNA. They were years of change, ferment, a new sense of freedom. People began enjoying leisure time in a wider range of increasingly popular ways.